About the FIDE Women’s World Championship which is starting in Khanty-Mansiysk, Russia, FIDE President said that the local organizers and leadership of the Ugra region are ready to hold the tournament at the highest level. On the comment that prize funds for Men & Women World Championship matches are same as two years ago, Dvorkovich agreed, adding that for the match in London there will be some increase due to a new provision as players will receive a share of the profit from sales. Dvorkovich said that increasing prize fund for men, and particularly for women, is one of the main tasks as this is important for the prestige of chess. Dvorkovich revealed that the World Championship matches will be rotated among the continents. Therefore, the next match will certainly be outside of Europe. On the question about the plans of previous FIDE President, Kirsan Ilyumzhinov, also from Russia, for inclusion of chess in the Olympic program, Dvorkovich said he believes the idea was premature. He explained that FIDE should take several steps to properly prepare for such a breakthrough. The first step would be to ask for clear recommendations to be sent from the International Olympic Committee, which has already recognized chess as a sport, to all national Olympic Committees, so that chess can be recognized as a sport, everywhere, all over the world. The second step, which can go in parallel with the first, is to try to have chess as either a demonstration or a full sport at the continental games – Asian, European, Pan American. And only after that we can begin to discuss the idea of ​​including chess in the Olympic Games. Now even the discussion of this issue is premature. On the journalist’s reminder that one month ago FIDE President said that the bank accounts should be unblocked, Dvorkovich said that in the coming days the opening of a regular bank account should be completed. 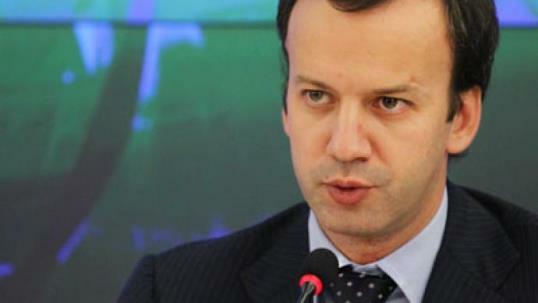 According to Dvorkovich, the delay is not due to sanctions but is related to the banking procedures. The first Presidential Board of the new FIDE administration will take place from 8-10th November in London, concurrently with the World Championship match. The positions in the administration and the commissions will be allocated. In the past weeks, the long-time FIDE Executive Director Nigel Freeman, whom Dvorkovich never even met, was relieved of duty. Willy Iclicki, who worked in campaigns of Kirsan Ilyumzhinov and then of Arkady Dvorkovich, was apparently performing the ED duty during the transition period and is expected that he will be appointed to this post. Dvorkovich said that many famous chess players, including Grandmasters, who worked on the election will receive positions.